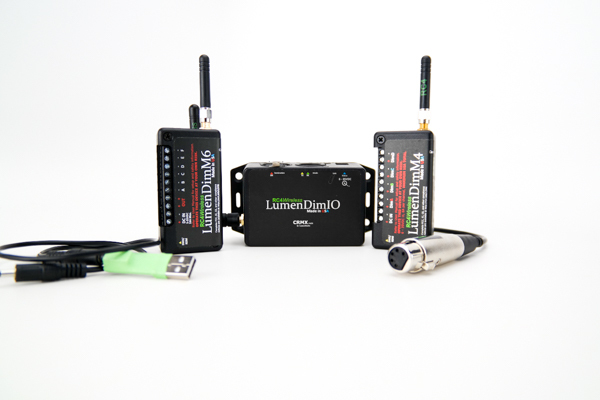 Almost all commercial Wireless DMX systems operate in the 2.4GHz band, which is harmonized worldwide. Although the generic range of this band is from 2.400GHz to 2.5GHz, the more constrained truly international range is 2.412 t0 2.472GHz. At least one commercial wireless DMX system will operate in the 5.8Ghz band, from 5.725GHz to 5.875GHz, and we expect to soon see systems in the 5.2GHz band, from 5.18GHz to 5.24GHz. 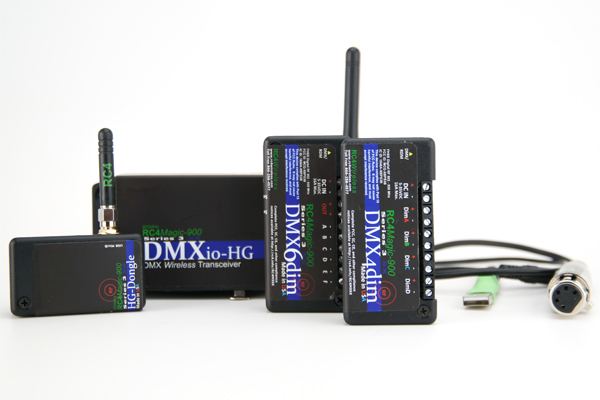 One Wireless DMX system — RC4Magic-900 from RC4 Wireless — operates in the 900MHz band, from 902MHz to 928MHz. It made its flawless debut controlling exterior lighting for Super Bowl XLIX, possibly the most mission-critical application of Wireless DMX on earth. All of these frequency ranges are referred to as ISM (Industrial/Scientific/Medical) bands. This may sound specific and specialized, but “Industrial” includes a huge and ever growing range of consumer products from myriad manufacturers used all over the world. The lower the frequency, the better the range. All else being equal (RF power, antenna gain, etc.) lower frequencies propagate better than higher frequencies. Thus, range is better, and signals pass through objects more readily at lower frequencies. 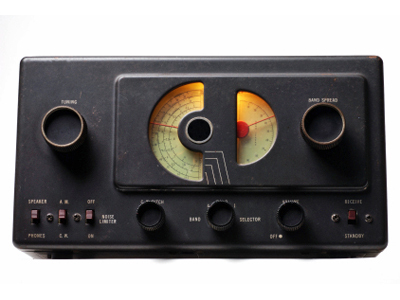 In just about every humanly perceivable way, lower frequencies work better. Don’t take our word for it: here’s the math, outlined by a reputable third-party. The 2.4GHz band is the lowest band that can be used worldwide. It is internationally harmonized, so it can be used in just about any country. This makes it the first choice for almost all commercial products. When a company develops RF technology, they want the highest possible return on investment, and that means they want marketability in as many places as possible. Microwave ovens operate at 2.45GHz. This frequency of electromagnetic energy causes water molecules to vibrate, resulting in friction between them, which generates heat. This is how microwave cooking works. The important point here is that 2.4GHz radio transmissions are quickly absorbed by water and objects containing water — including animals and people — and converted to heat. When that happens, the signal is gone. 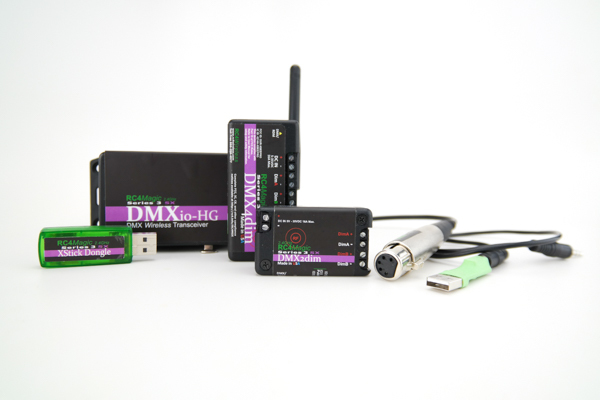 A universe of DMX is not actually very much data and does not need a lot of bandwidth. Wired DMX uses a 250kbps link, a fraction of the bandwidth we routinely use for streaming audio and video on the Internet. In general terms, the 2.4GHz band provides a total of 100MHz of bandwidth. The 5.8GHz band provides 150MHz of bandwidth. The much lower 900MHz band is smaller and provides only 26MHz of bandwidth. Because of how things have worked out with regulatory agencies, there is more room as the higher frequencies. Even so, the carefully designed RC4Magic-900 system supports up to eight simultaneous full-spec DMX universes at 900MHz in any one location. With just a few hundred feet of physical separation, many more systems can be operated nearby. The 900MHz band can only be used in the USA, Canada, Brazil, Australia, and New Zealand. Because this is the most limited of all the bands, it is used far less for industrial applications than the other bands are. It is less congested, from an RF perspective, and we expect it will remain that way. Taking all of this into account, if you are working in the USA, Canada, Brazil, Australia, and New Zealand, and do not expect to take your Wireless DMX equipment outside of these areas, then RC4Magic-900 in the 900MHz band is a great choice. Otherwise, RC4Magic Series 3 in the 2.4GHz band is preferred. ZERO interference with WiFi, Bluetooth, and all the other technologies that operate in other bands. Due to regulatory differences, higher RF power can be used, delivering better range (and remember that this lower frequency already provides better range, even if RF power did not increase). Longer wavelength provides better propagation of RF signals. 900MHz RF signals more readily pass through water and objects, including trees, animals, people, and buildings. Cannot be used outside a very specific short list of jurisdictions. RF components are higher cost. Components are somewhat larger because of the longer wavelength, limiting how small the devices can be. Not recommended for touring productions with uncertain future destinations. If you are operating in an area where 900MHz is not available, or you might sometimes need to travel into those areas, the next best choice is the 2.4GHz band. Since this band is heavily congested worldwide and becomes more so every day, it is important to choose an RF technology that is least susceptible to interference and least likely to cause interference for others. Keep in mind that “others” includes any and all wireless technology in your production, not just strangers outside. RC4Magic at 2.4GHz uses Direct Sequence Spread Spectrum (DSSS), rather than more common Frequency Hopping Spread Spectrum (FHSS). This is because DSSS delivers the best possible performance in a crowded RF space. The key to better performance using DSSS is a mathematical principle called process gain. The nature of FHSS does not provide significant process gain. 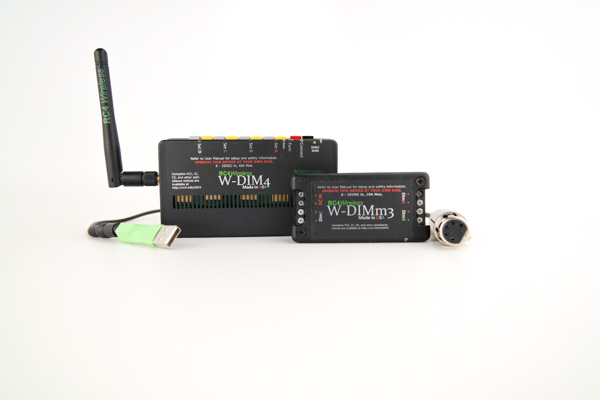 Only RC4Magic systems deliver wireless DMX with this important performance advantage. Once again, don’t take our word for it — read this third-party paper, noting Figure 2. Lowest worldwide-harmonized band, providing best RF performance for devices that must be operable anywhere. Small RF components allow devices that are smaller in size. Congested with more general traffic than any other band, sometimes reducing reliability for all systems, not just yours. Cannot be used through water. Performance will deteriorate in very high humidity environments. Signals will not pass through bodies of water including animals and people. Maximum allowed RF power is lower than in the 900MHz band. The 5.2GHz and 5.8GHz bands are not ideal for wireless DMX applications for various reasons, but is sometimes deployed as a back-up band for systems primarily operating at 2.4GHz. The main disadvantage is limited range. These high frequency signals are unable to pass through common obstructions, like walls and floors. That means they also don’t push through set and scenery pieces, which is a real problem in most theatrical applications. Less congestion than 2.4GHz (but this is unlikely to remain true in coming years). Very small components and very short antenna lengths. Likely to eventually be as congested as the 2.4GHz band. Higher frequency means poorer propagation and range, and the inability to penetrate and pass through common obstructions like walls and floors. Maximum allowed RF power is lower than other bands, further reducing propagation and range. All things considered, range is substantially more limited than other bands. 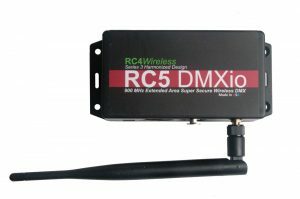 RC4 Wireless is happy to help you find the best wireless DMX technology for you. Do not hesitate to contact us. By the way, the RF bands discussed here are a tiny part of the overall spectrum. Here is the complete United States spectrum allocation map. Most other countries have a similar map, with many differences between them. What works well in one place can be illegal to operate somewhere else!